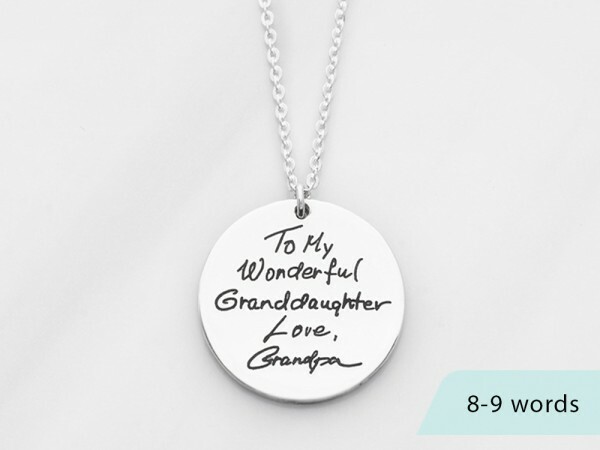 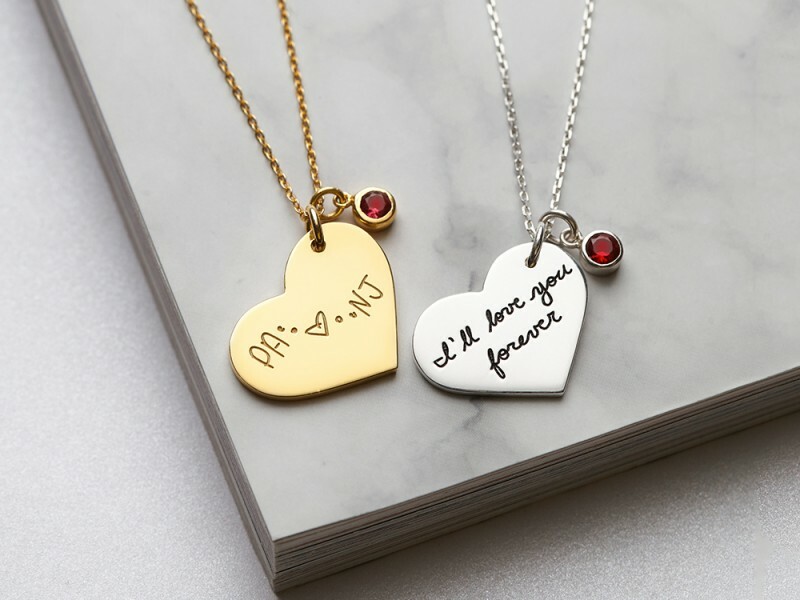 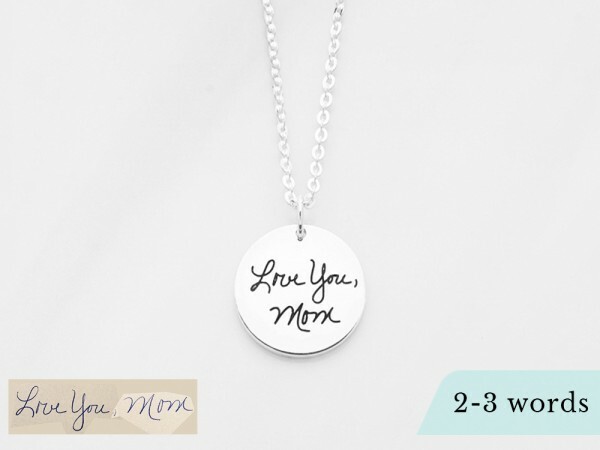 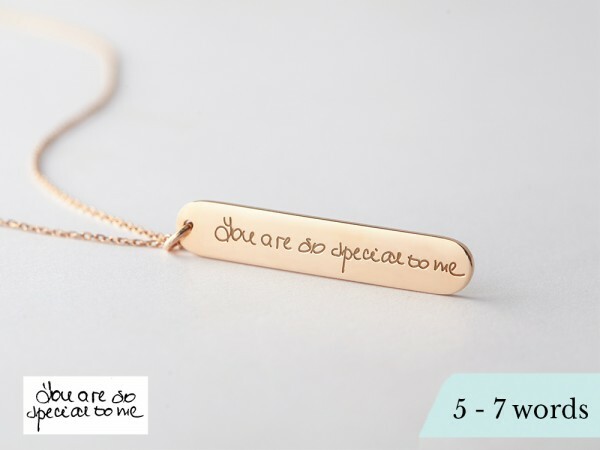 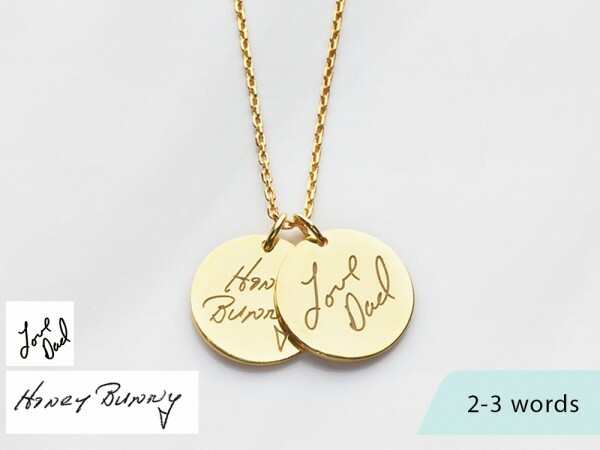 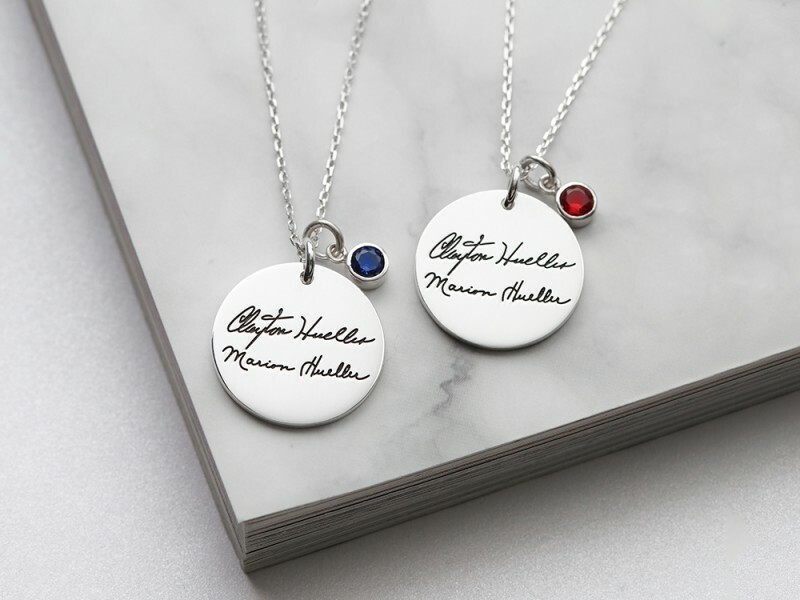 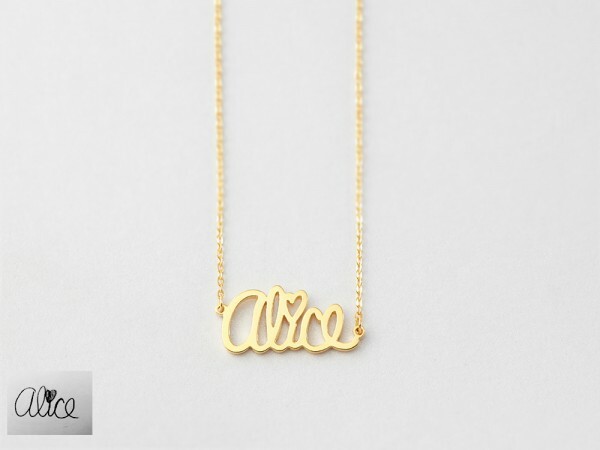 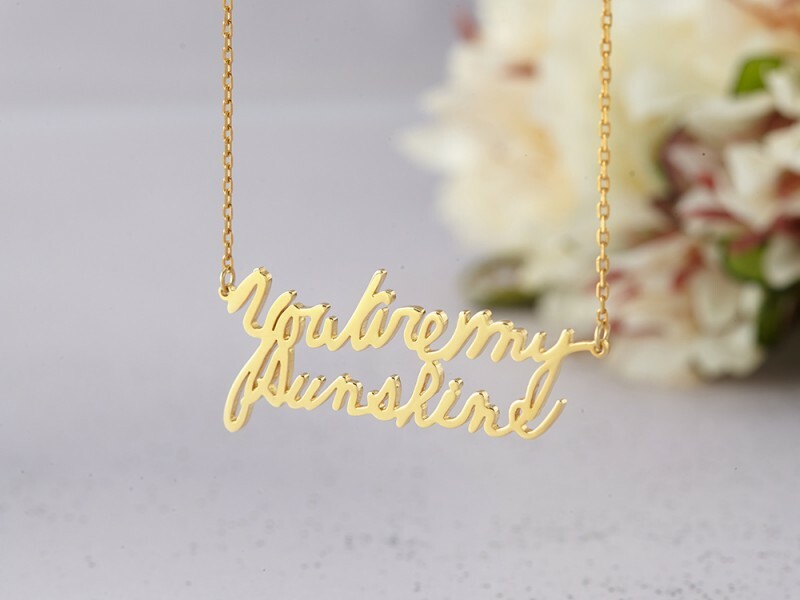 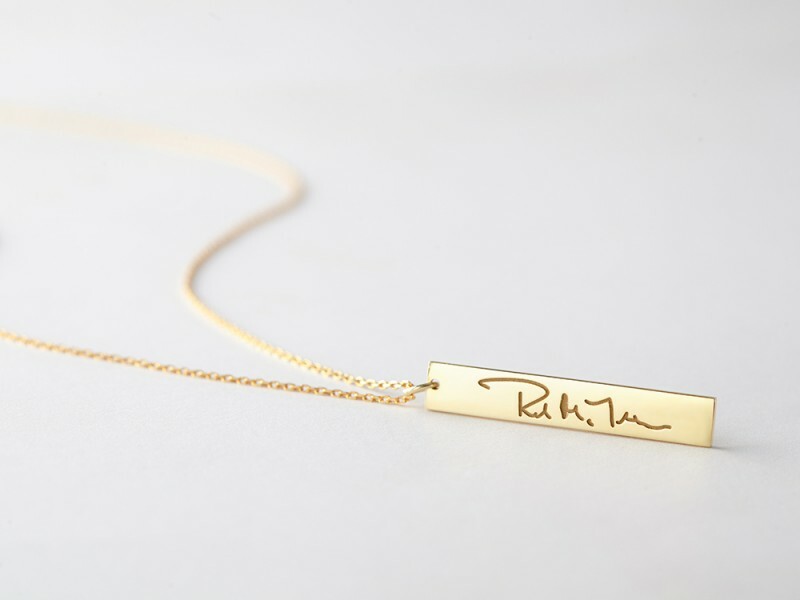 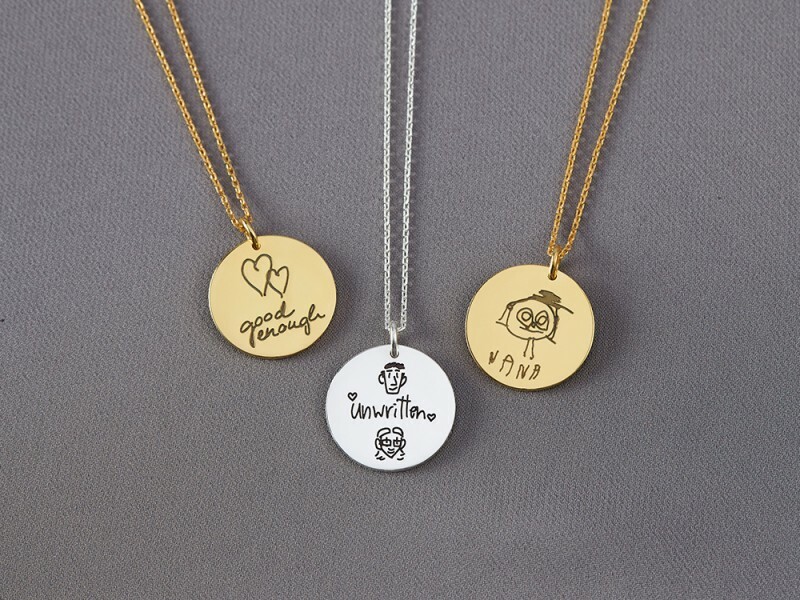 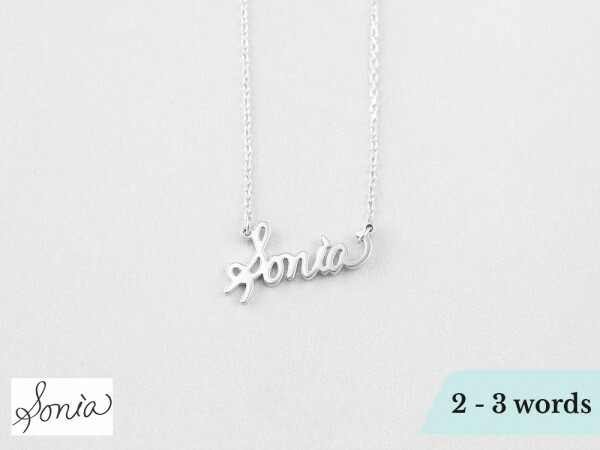 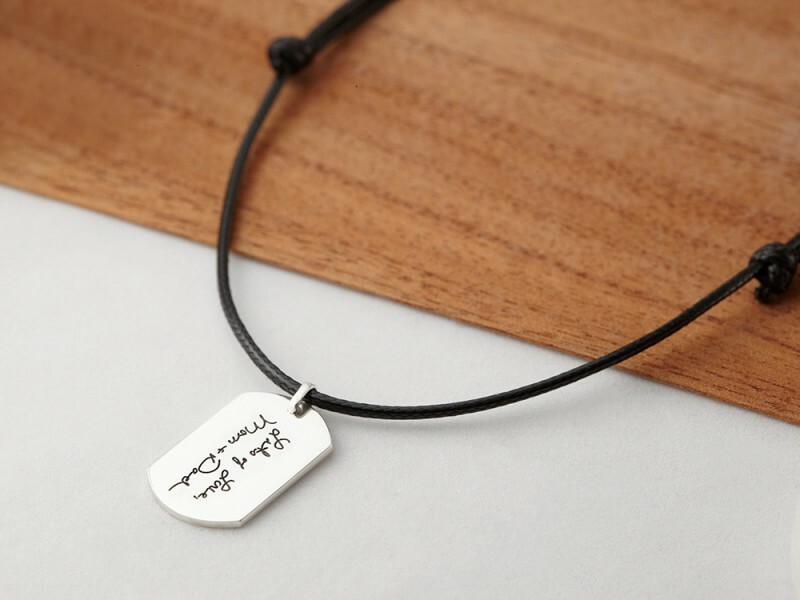 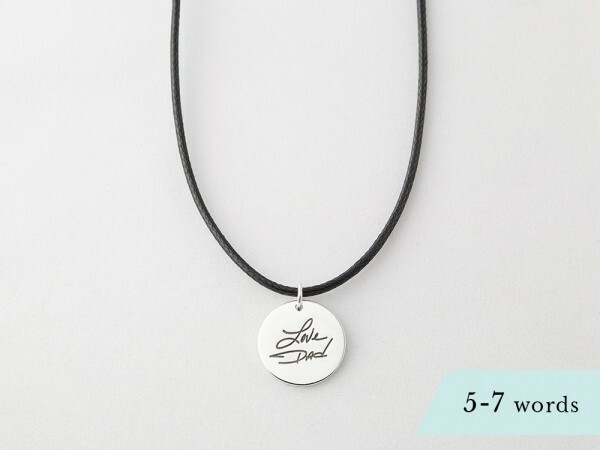 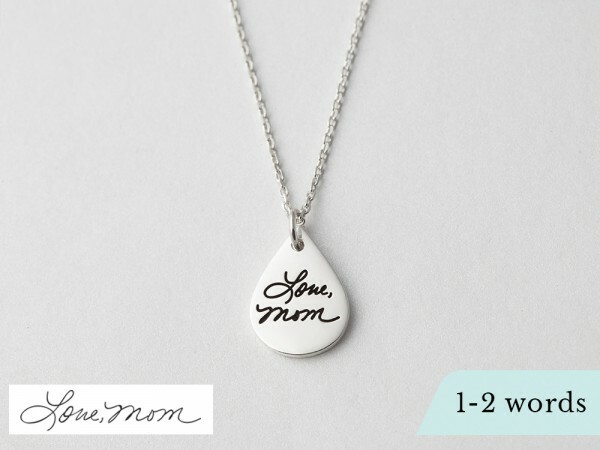 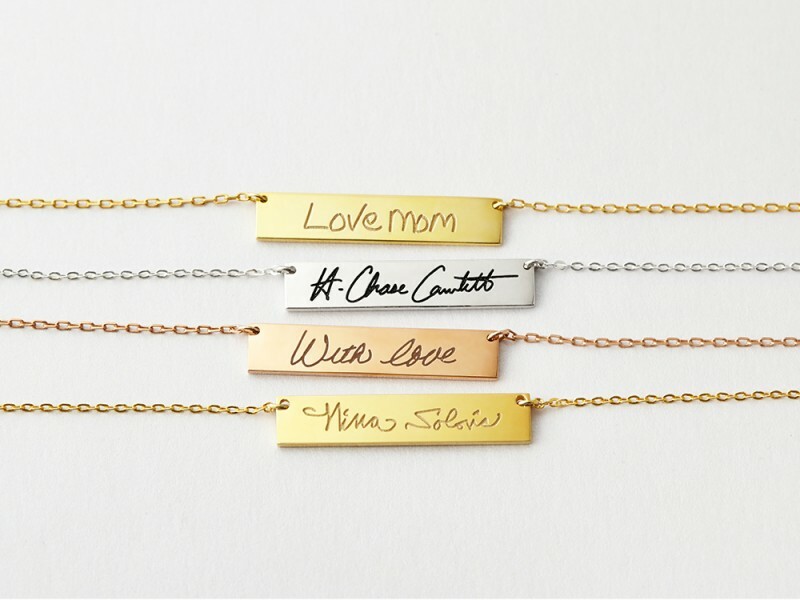 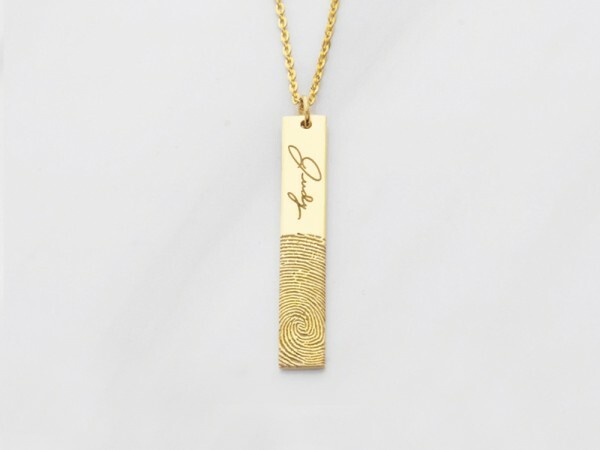 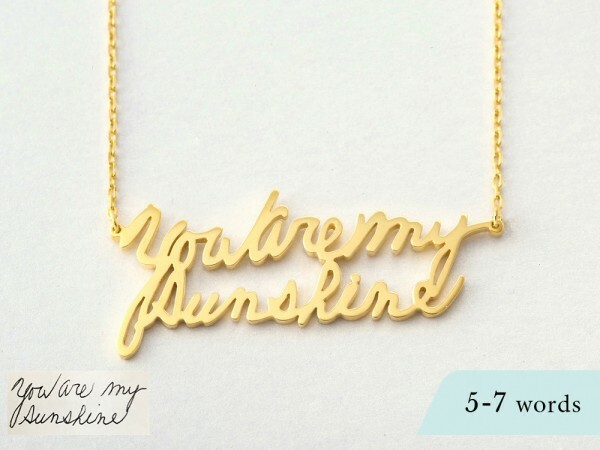 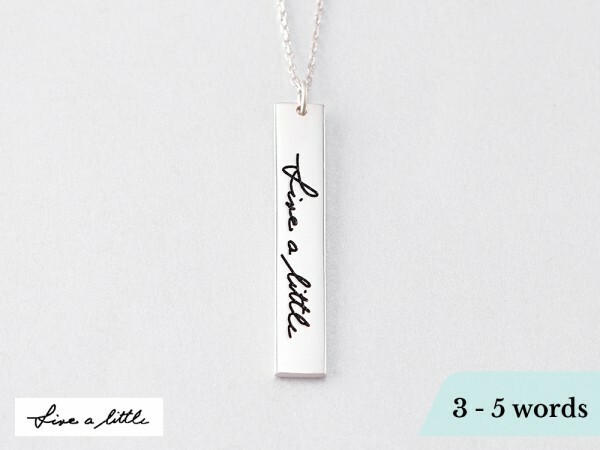 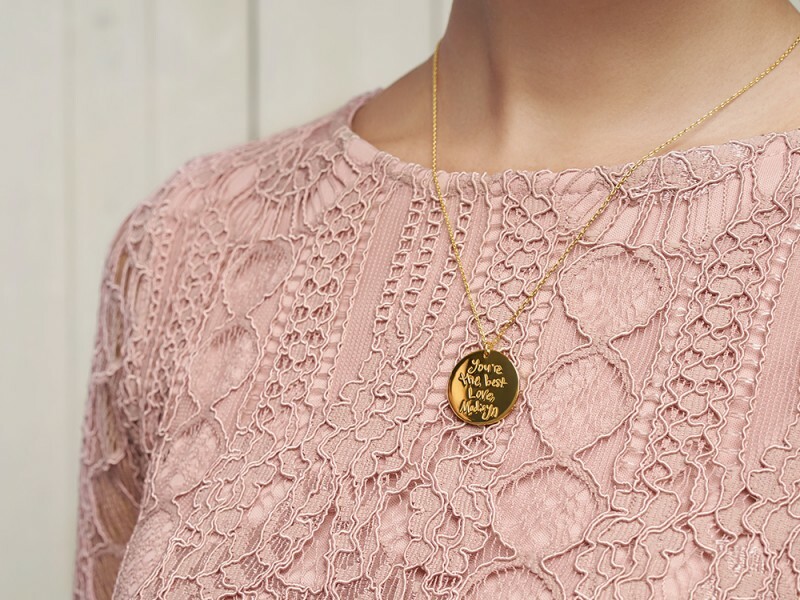 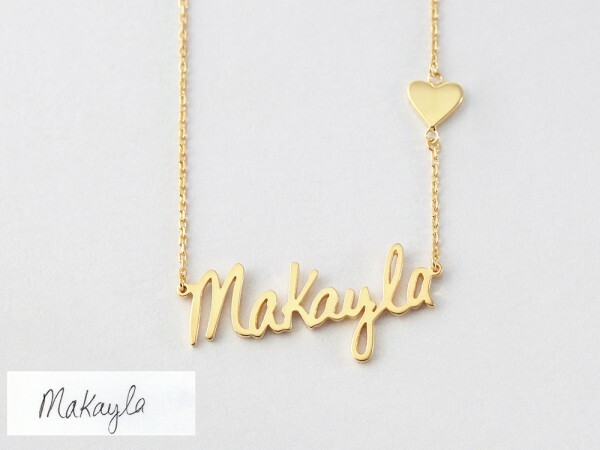 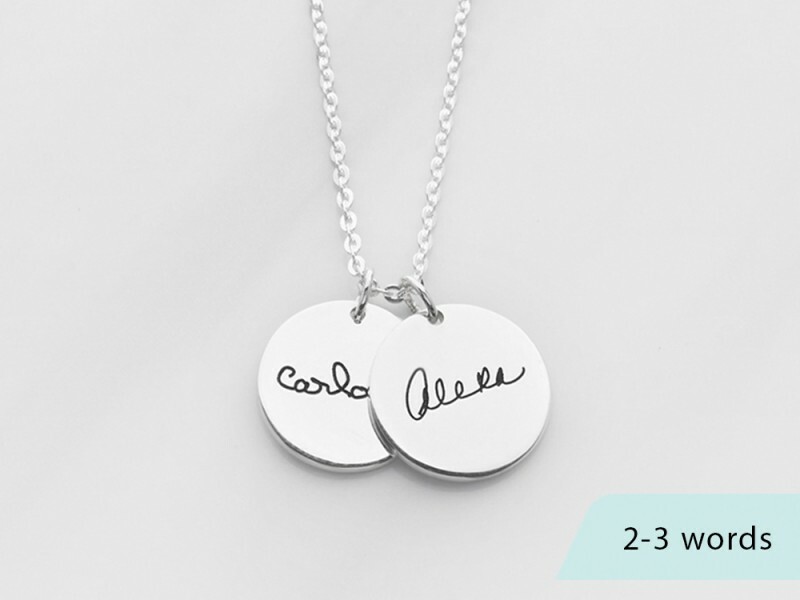 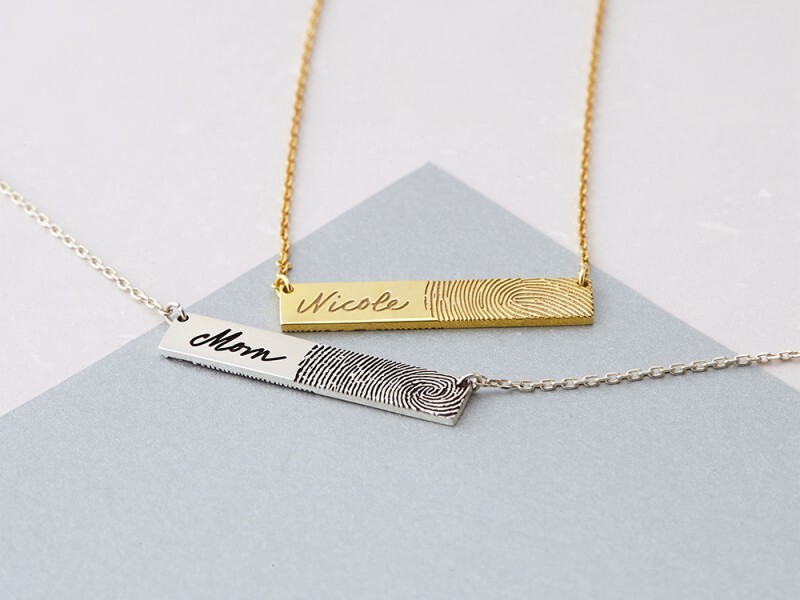 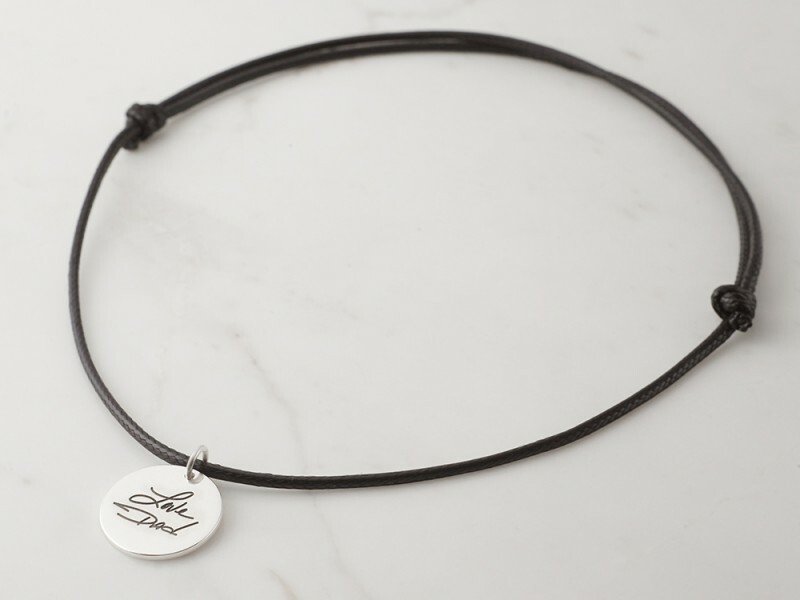 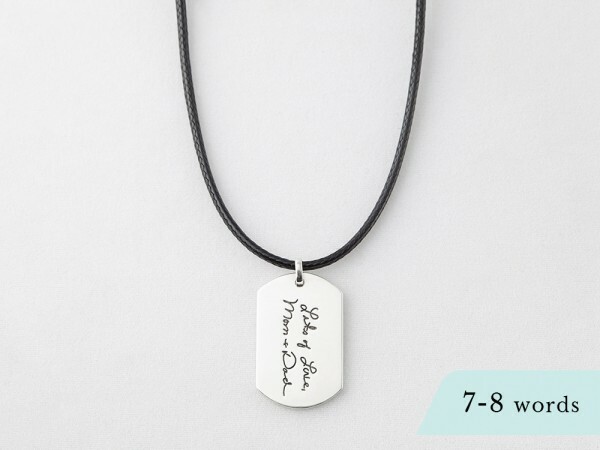 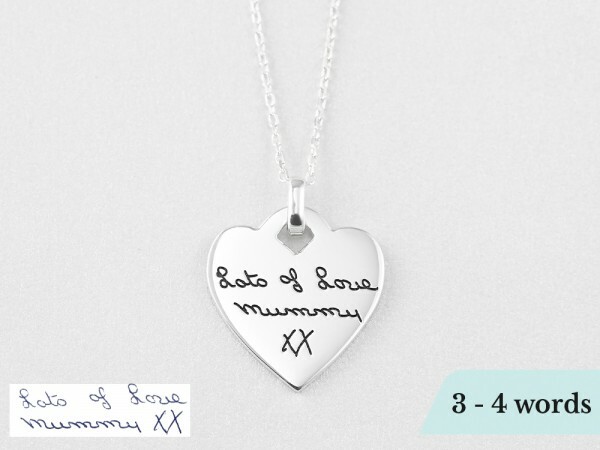 Hold memories dear with a custom handwriting necklace engraved with actual handwritten note. 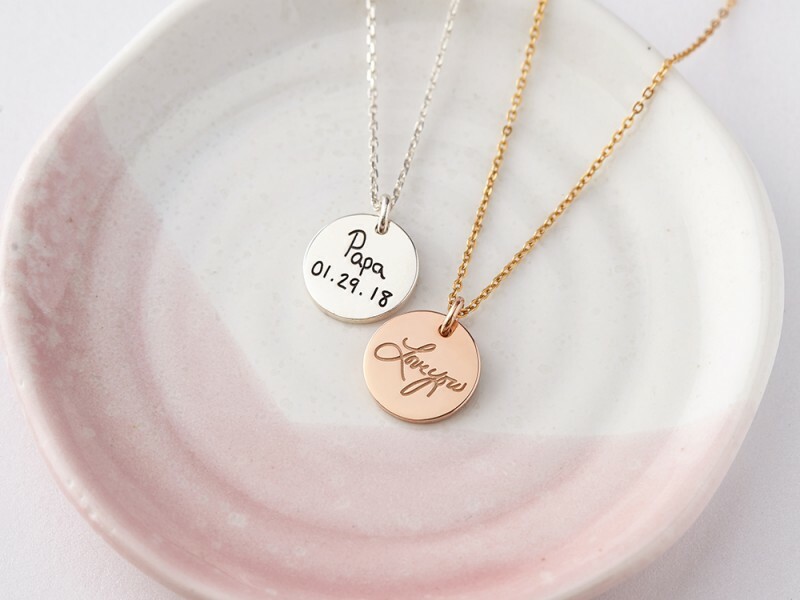 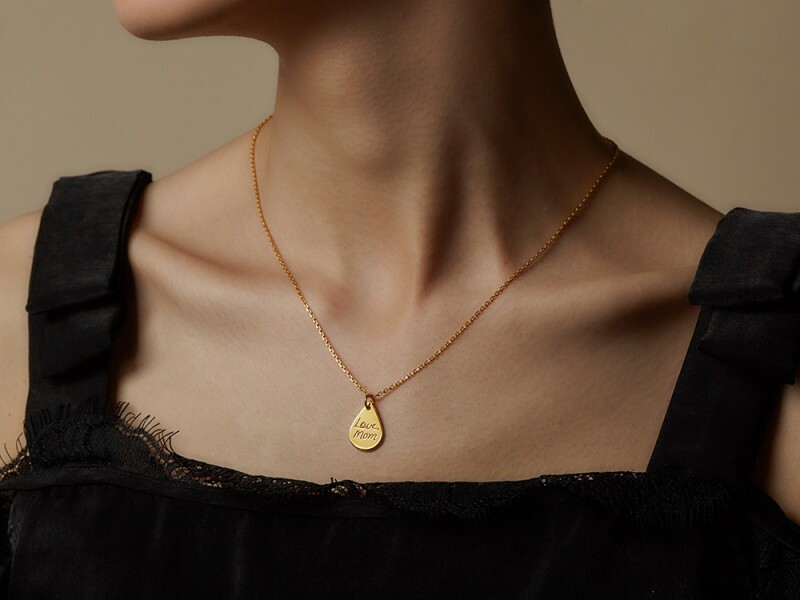 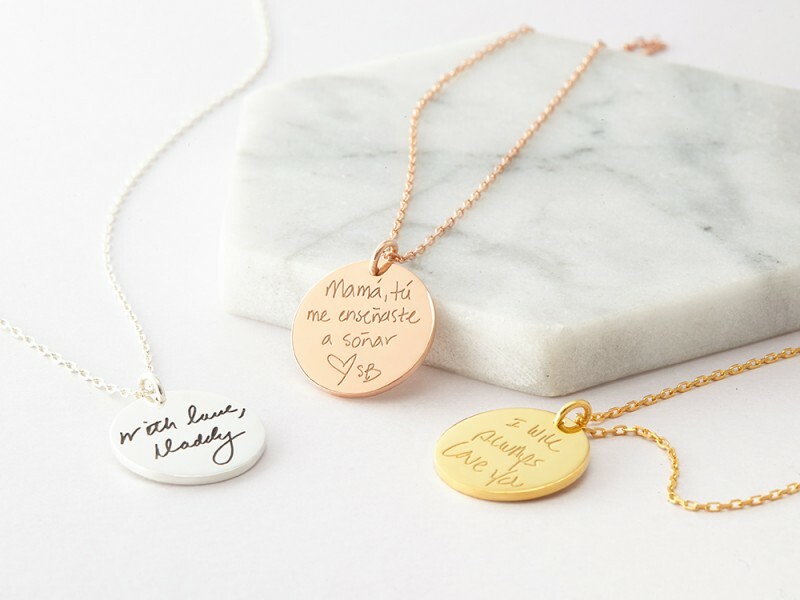 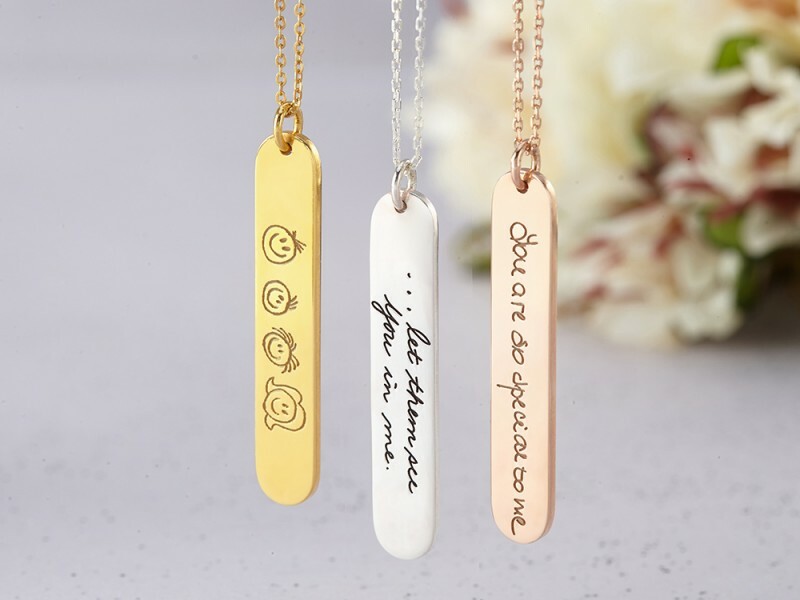 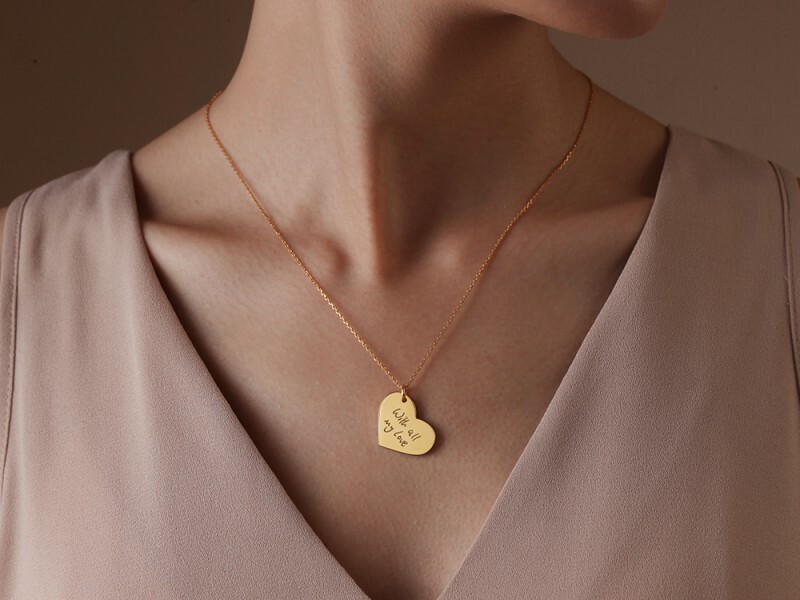 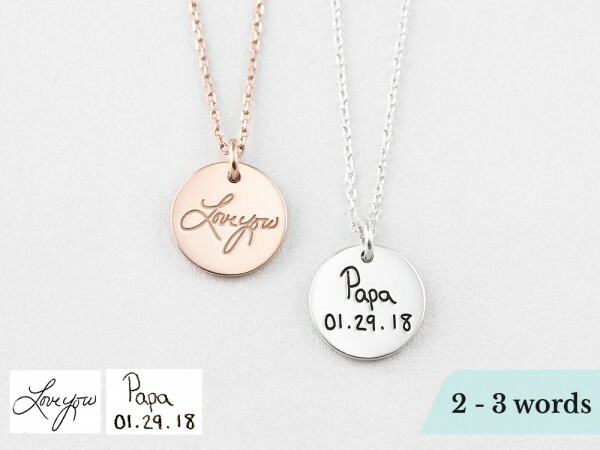 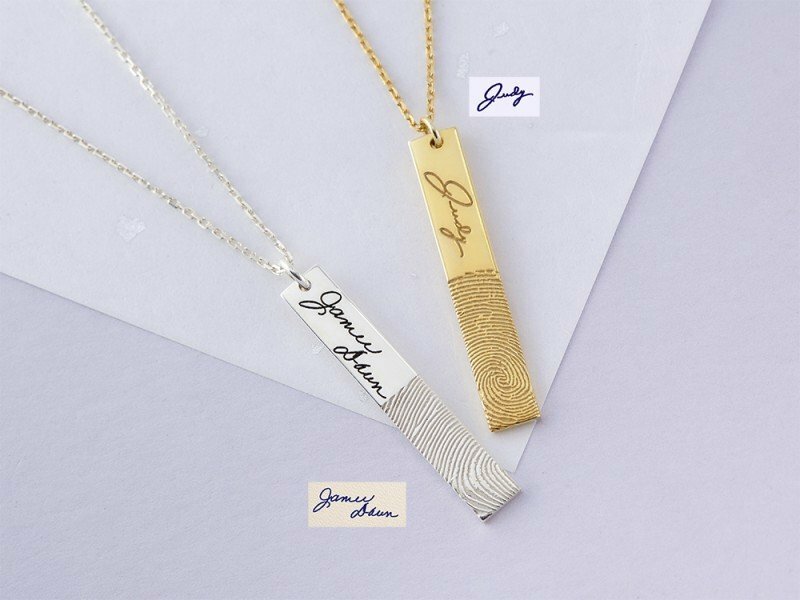 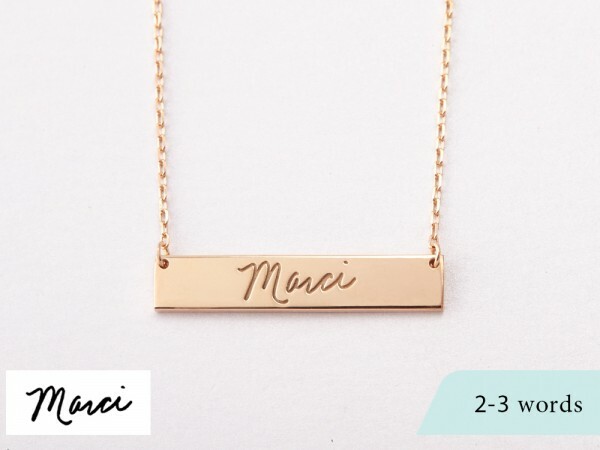 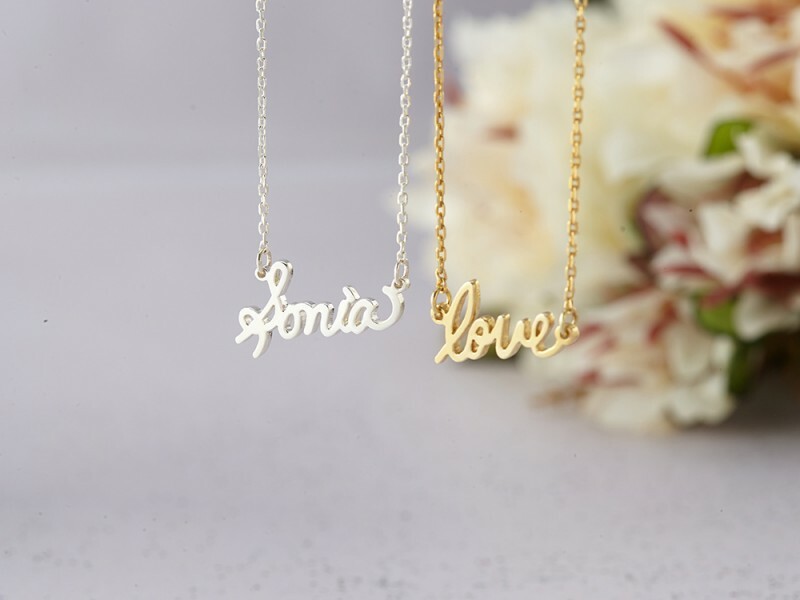 Available in sterling silver with 18K yellow and rose gold plate options, these memorial handwriting necklaces makes stunning gifts for sentimental souls. 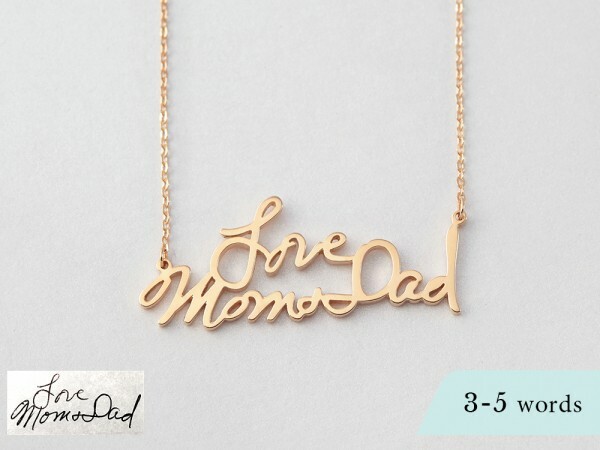 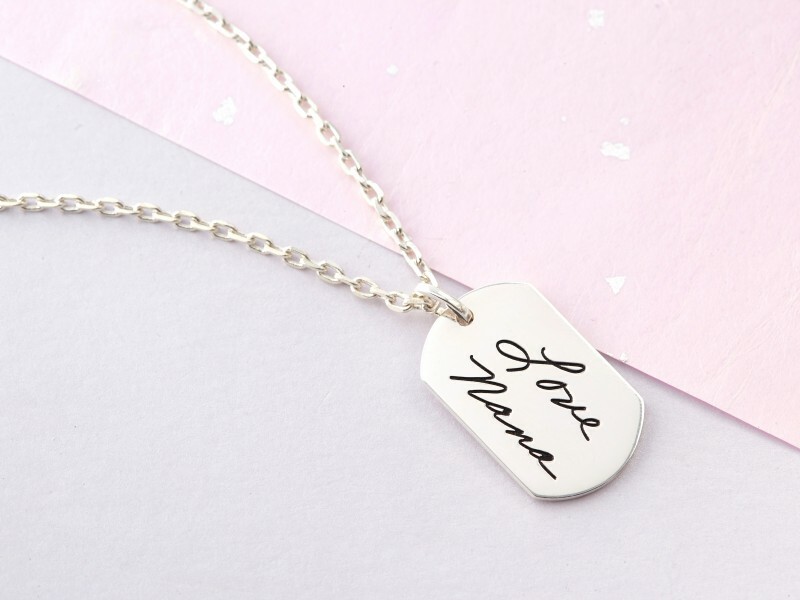 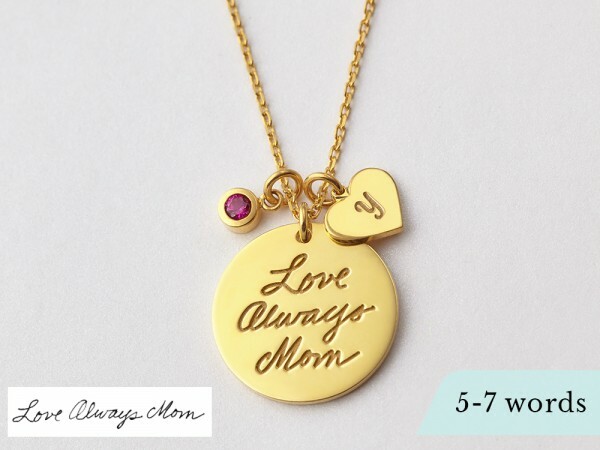 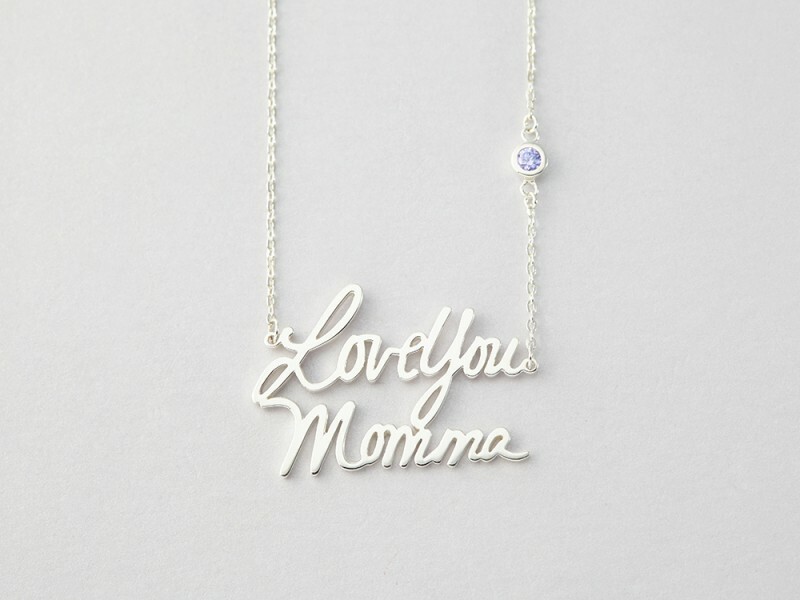 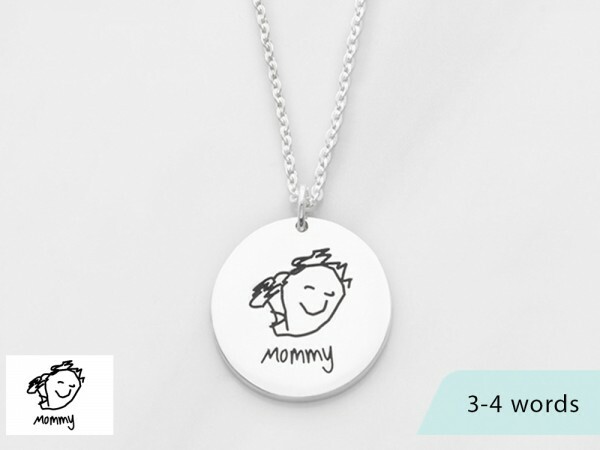 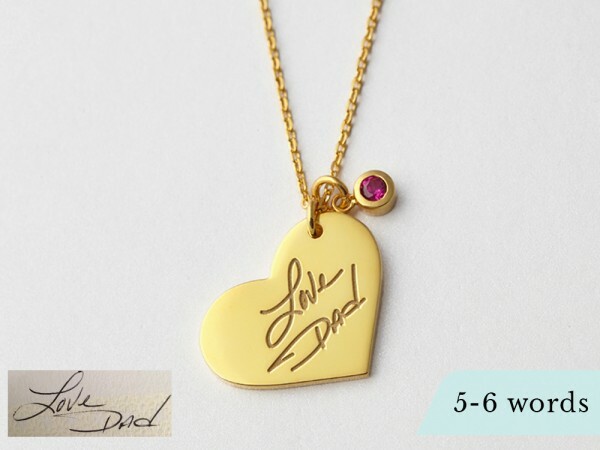 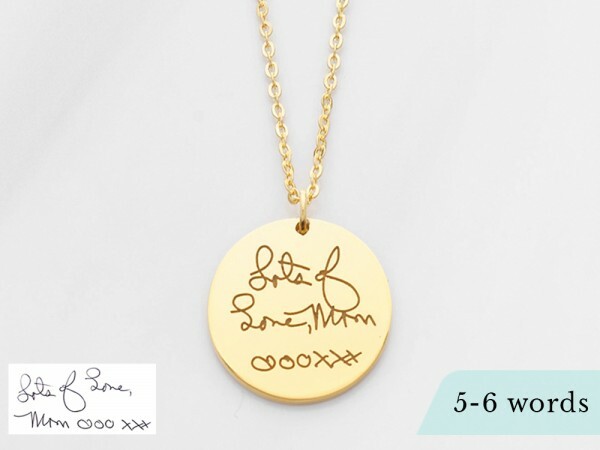 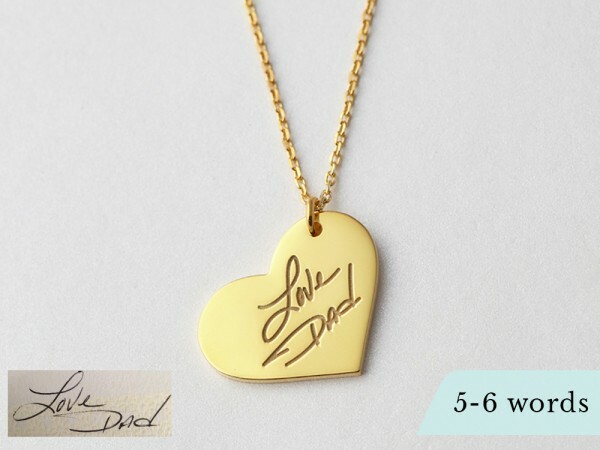 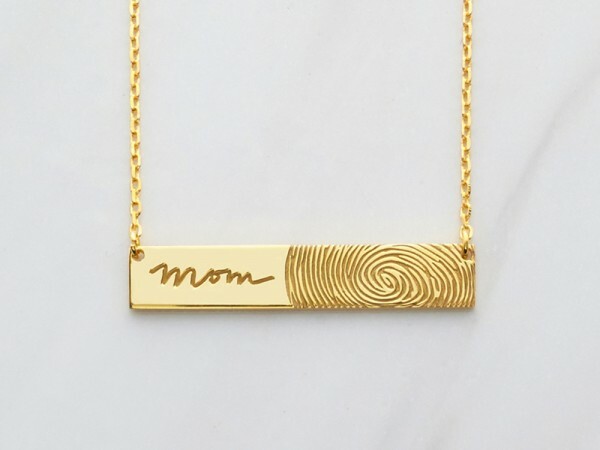 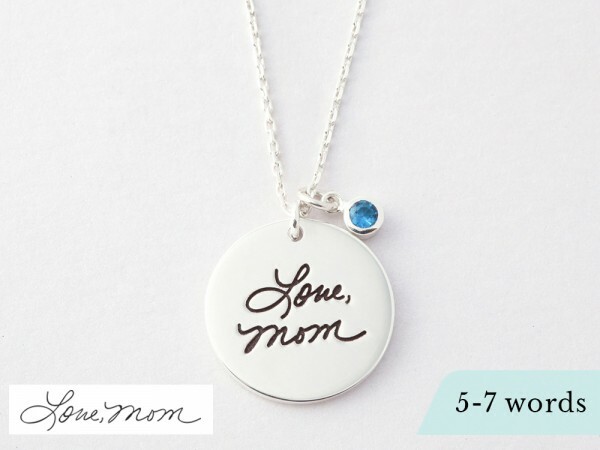 We can work with anything you have, be it your child's drawing for a mother necklace, "love, Dad" signature from an old card or your own handwriting to your daughter. 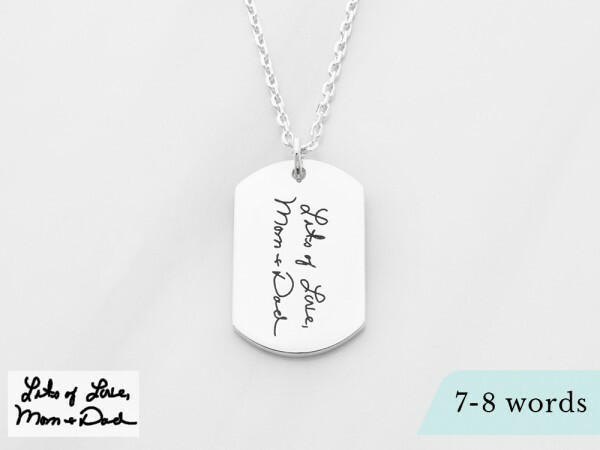 These handwriting necklaces make great gifts for anniversaries, wedding, Valentine's Day and Christmas that your family will cherish.